Custom silk laminated trading cards are great for giving out to family and friends. Did you know they are ideal for businesses too? They can be used as promotional items or leave-behinds while attending trade shows or conferences. 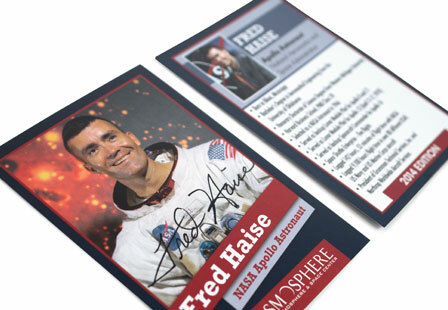 These custom trading cards provide a smooth protective lamination that's applied to both sides. The silk lamination helps protect the cards from water and prevents them from tearing or cracking along the edges. Have fun in creating your next custom baseball card, hockey card, soccer card or gaming card.